When most people hear the words “estate administration,” they traditionally think of things like wills and trusts, money and real estate. However, in today’s changing modern world, the focus of estate planning is changing to include digital assets as well. Something residents of Nevada might want to consider when preparing for their family’s future is a digital fiduciary. Nowadays, almost everyone has a “digital life” to one degree or another. Digital assets can encompass a number of things, ranging from files stored on devices like laptops, tablets and smartphones, to emails, social network and online financial accounts and more. The person who has been named legal representative of a will and trust might not have the necessary skills or knowledge to access and deal with these digital assets. This is why naming a digital fiduciary in estate planning documents can be important. The digital executor should be someone who understands the technical aspects of managing online and digital data. When addressing these facets of estate planning, it’s also vital to ensure that the person who has been named digital fiduciary has access to any computers and devices – as well as any and all relevant passwords — where the information is stored. Planning a secure future for loved ones means keeping up with the fast-paced changing digital world of today. Even if will or a trust is already established and an executor has been named, an existing estate plan may not encompass all of the digital assets that will need accounted for. 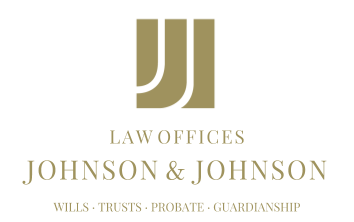 If a resident of Nevada thinks an existing estate plan may need to be updated, he or she may want to consider discussing these issues with an estate planning attorney.